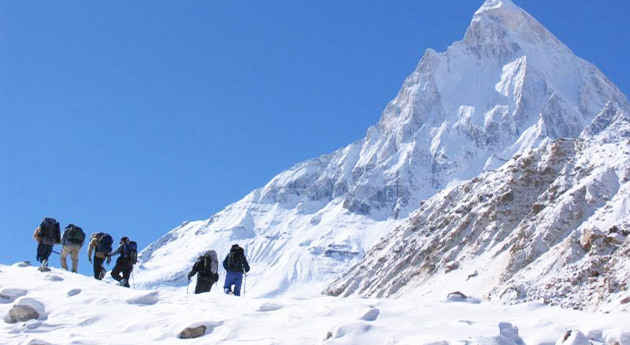 ﻿	Gangotri Gaumukh & Tapovan Trekking Tour Package. 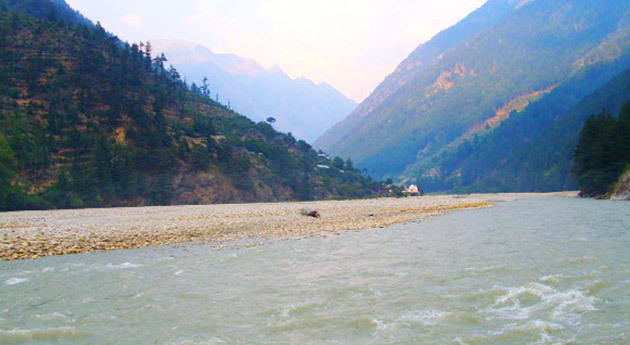 River Ganga is the holiest and the most revered of all the rivers of the Hindu religion that originated from the Gomukh glacier in the Gangotri region. This area is also quite popular amidst national as well as International trekking enthusiasts. 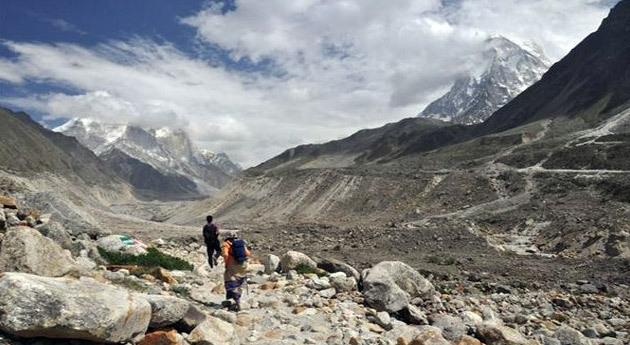 Gangotri-Gomukh-Tapovan trek by India Pilgrim Tours is an extremely well-planned trekking journey, spanning in duration of 10 nights and 11 days. This journey takes you through ascending-descending trek routes of Gangotri, Bhojwasa, Gomukh and Tapovan. You do not only partake in trekking, you also treat your eyes to the scenic beauty spread around. Once you arrive at the Delhi Airport / Railway station, meet our tour representative who helps you with an assisted road transfer to Rishikesh. On reaching Rishikesh, the Yoga Capital of India, complete the check-in formalities at your pre-booked hotel. The evening is free for you to indulge in the activities of your interest. You can visit the popular temples and other attractions of the city. You can also attend the well-known Ganga Aarti on the ghats of the Ganges. Dinner and overnight stay in Rishikesh. On day 2, have your breakfast and leave by road for Uttarkashi, placed at an altitude of 3799 feet above the sea level. As you reach Uttarkashi, famed as the Kashi of North, check-in at your pre-booked hotel. The rest of the day is free for leisure activities. You can interact with the locals, can relish the sumptuous food, can explore the beautiful lush surroundings on foot, can visit the local city attractions and so on. Utarkashi is also popular as the base for a number of trekking and mountaineering excursions in Gangotri area. Stay overnight. On the 3rd day of your tour, post-breakfast hit the road to Gangotri, via Harsil. Gangotri is a beautiful Hindu pilgrim town, which is located on the banks of the River Bhagirathi. Placed at an altitude of 3100 meters above the sea level, it is also known as the origination point of River Ganga. After completing the check-in formalities at the hotel, visit the most popular Gangotri temple of the region. Gangotri is the seat of Holy Ranga River and this temple is dedicated to her. You can also visit the other attractions such as Dodi tal, Kedar Tal, Vishwanath temple etc. Overnight stay. Post breakfast, trek further to Bhojwasa (3792 meters) through Chirbasa (3600 meters) starts. The beaten trek route from Gangorti to Chirbasa is on-tree line, along the gushing banks of River Bhagirathi. Once you cross Chirbasa, the Arctic Tundra trek becomes isolated as well as barren. As you continue your trek towards Bhojwasa, you cross thick forest lands. On reaching Bhojwasa, down the river there is a small temple, which is your campsite as well. Set-up your camp on the banks of the river. After relaxing for a while, you are free to explore the area, treat your eyes to the scenery spread all around. Do not miss Sunset view, when the sun sets on the Bhagirati peaks. Dinner and overnight stay in the camps. Treat your eyes to the early morning view of the area. Later, have your breakfast and begin your trek to Gomukh (3890 meters). 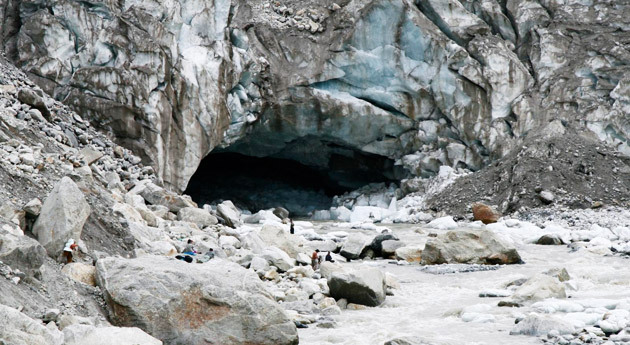 Gomukh glacier is the origination of River Bhagirathi/ Ganga. This originating point is one of the most revered points for the Hindu devotees. Marvel at the picturesque beauty of the snow-clad and flower-covered mountain peaks. It is called Gomukh, as it appears like a cow’s mouth. Once you reach the glacier, you can take a holy dip in the chilling ice water. Enjoy the serenity spread around. Thereafter, begin ascending steep trek to Tapovan, one of the finest high altitude alpine meadows of the region. You notice that the surrounding peaks are becoming clearer. The area is popular for its mesmerizing meadows, enclosing the base camp of Shivaling peak. Enjoy the cascading water streams, floral meadows with wildflowers. You also spot herds of Bharal or the Blue Mountain Goats. Once at the camp site, treat your eyes to the background view of the Bhagirathi glacier (6454 meters) I, II and III. Tapovan is a popular spot, amidst trekking and mountaineering enthusiasts. On reaching Tapovan, set-up your camp. Dinner and night stay in the tent. Day 6 of the trek is for acclimatization. You are free to relax and simply enjoy the lush beauty that is spread all around you. Tapovan is popular for the peaceful as well as adventurous surroundings. Placed at such a high altitude, it offers an amazing view of the Bhagirathi snow-clad mist covered peaks, the flora as well as the fauna. Later, explore the Meru and the Kriti Glacier. Enjoy your dinner. Stay overnight in the tent. On the 7th day of the trek, treat your eyes to the beauty of the nature when the sun is rising from behind the peaks. Enjoy your sumptuous breakfast. Thereafter, begin trekking down to Bhojwasa. Marvel at the enchanting sight of the nature while you are trekking down from a challenging trek route. Once you arrive at Bhojwasa, set-up your camp at the site. The rest of the day is free for you to indulge in the activities of your interest. Have your dinner and stay overnight in the tent. Have your morning breakfast and begin trekking down to Gangotri. On reaching Gangotri, you set-up at the camp at your campsite. Now you are free to indulge in the activities of your interest. You can explore the surroundings on-foot or can simply relax in your tent. Dinner and overnight stay in the camp. On the morning of the 9th day of the tour, have your breakfast and begin driving to Uttarkashi. On reaching Uttarkashi, complete the check- in formalities at your pre-booked hotel. Indulge in leisure activities. Admire the beautiful scenery sprinkled around. If you wish, you can visit the local attractions. Stay overnight. On day 10, have your breakfast. Thereafter, get an assisted transfer to Haridwar by road. On arrival, check- in at your hotel. You can now relax in the comforts of your room or can partake in sightseeing, visiting attractions like Har Ki Paudi, Bharat Maya Mandir, Chandi Devi temple, Sapt Rishi Ashram and more. The evening is scheduled for attending the enchanting Ganga Aarti. Stay overnight in Haridwar. Once you arrive at the railway station of Delhi, you are picked-up by our representative You are free for rest of the day to do some shopping. In the evening you are transfer to the international airport for catching a connecting flight for your onward destination. Today is the last of the tour, when, after breakfast you hit the road to Delhi. Get dropped at the Delhi Airport or Railway station to board the flight or the train for your onward journey.